Posted Mar 16, 2018 by Eds. Ringa Ranga Rajah, a London devotee of recently departed Ambalavanar Siva, complained bitterly last year when March 14 went by and I neglected Marx and Einstein. The former died on 14 March 1883 and the latter was born on 14 March 1879. I promised to make amends and this year Sundays 11 and 18 straddle the date. This is the first of a two-part essay; it looks at the last 200 years, the second part, next week, looks at the present. 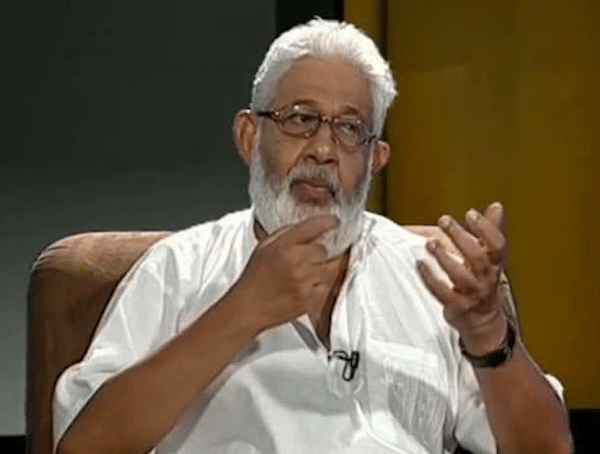 For starters I dug up Carlo Fonseka’s “Is Marxism Science?” (Sunday Island of 6 May 2012). I am in agreement with most of what Prof Carlo says except the last paragraph where I have a different take. Here is the para. Marxism is based on a synthesis of German idealist philosophy, English classical economics and French political theory. Accordingly, it will be assumed in this account of Marxism (Prof Carlo’s article is also in a 2008 Communist Party commemorative volume) that its essence comprises three elements; first, dialectical materialism which derives, paradoxically enough, from Hegel’s idealist philosophy. The second element is socio-economic analysis of capitalism which is based on English classical economics. The third element is a commitment to socialism of a particular form which comes from French politics. (Carlo Fonseka, “Is Marxism Science?” Sunday Island, 6 May 2012). This well-known view was first enunciated by Lenin. It has passed into the catechism of the Marxist fraternity and is regular fare in party schools. Rosa was more careful and latter-day Marxists such as philosophers Sartre and Althusser and historian Eric Hobsbawm have avoided it. It was ok to say 100 years ago, but epistemology has moved on. There is more to Marx than was then thought; a lot more than he himself suspected. This is not unusual in the history of science; Riemann’s geometry remained a quirk for 50 years after his death till General Relativity arrived; the sightings of Keppler, Copernicus and Galileo were strangely at odds with common sense (the Church had a point) until, as Pope and Fonseka remind us, “God said ‘Let Newton be’ and all was light”. The genius of Marx is the astonishing rejuvenation that his thought has undergone in the light of subsequent sociology, historiography and economic upheavals. The Materialist Conception of History is now subsumed as self-evident in all political commentary, like arithmetic to a school boy. This is epistemological progress though in a subterranean kind of way. My first grumble with the quoted passage is that it is not true that Marx simply took classical German philosophy and Hegel’s dialectic and “stood it on its head”; that he interchanged object and predicate and made it into a materialist instead of an idealist dialectic. That instead of ‘God made man in his Image’ Marx kind of ‘inverted’ it to ‘Man made god in his Image’, and so on. Althusser made all these points forcefully in For Marx. The ‘inversion’ hypothesis is simply not what happened to the dialectic in Marx’s hands; such a rendering is gross simplification. Just sit down with any of the three volumes of Kapital, go to the library and pick up Hegel’s Logic (a simplified version, the fat three volumes are unreadable), and compare. You will find no inversion of categories, no “Unity of Opposites”, no “Thesis, Antithesis, Synthesis”, no “Quantity Transforming into Quality”. None of this will you find in Marx. That he was profoundly influenced by that “mighty thinker” is not in doubt, but what he took away from Hegel was dynamics, interaction, process, movement, change. He took away the big picture, not piddling little mechanisms. Yes, Hegel was a systems-thinker, but Marx’s version belonged in another world. Marx had never heard the term ‘systems theory’ but what he did was link class, production, economy, surplus, state, war and social transformation into a process. Unknowingly, what he had done was to have founded modern scientific systems theory; he did it in political economy. Darwin looked at species in relation to their habitat, food supplies, competition, survival, sexual selection and reproduction. This materialist approach to the natural world was enriched by the arrival of genetics. Then, the embedding of natural selection within ecology created a systems viewpoint. In modern times, systems theory has been synchronised with cybernetics, communications and computing. Systems theory seeks linkages, hierarchy (pivotal and lesser factors), likelihoods rather than strict determinisms, and probability of outcomes. These are central to Neo-Darwinism as well as to Marx’s (not Hegel’s) dialectic. For this reason, I call Marx the unconscious founder of systems theory which lies implicit and embedded in all his best writings. (I use a different font to emphasise the five key concepts of this essay). The common way Darwin and Marx are identified is a trivial popularisation. They say Darwin held that species appeared, struggled and went extinct and that Marx saw something similar in society. The usual storyline: technology/production, class, conflict, overthrow, revolution. This analogy is too superficial. What is significant is; first, their common materialist exposition of how and why things happen; second, the research methodology that Darwin and Marx employed and their fusion of inductive and deductive cognition, essential for macro scientific theorisation. 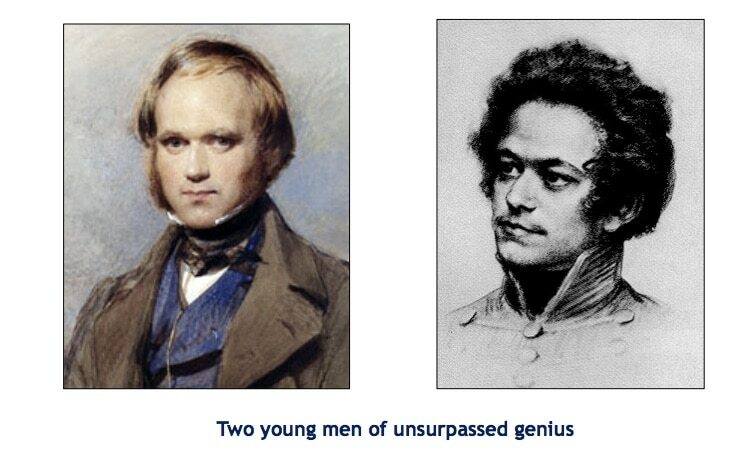 From the days of the voyage of the Beagle in the 1830s to the end of his life Darwin was besotted with his specimens. He probed them, examined them and studied every detail of behaviour; he was an empirical scientist par excellence, his methodology was impeccable. Marx was like that. He poured over statistics, reports, parliamentary proceedings, trade and output numbers and shipping logs. This man who had made a name as an abstract thinker, for ever after the writing the Manifesto was an out and out empirical pedant. No abstraction could stand if it defied reality – we know of his struggle with the ‘Transformation Problem’ which he never solved, but more on that later. Thus, next to materialism, the most important way Darwin and Marx were scientists was devotion to scientific technique: gathering and ordering data, rational deduction, scrupulous honesty and genius of insight. Their methodology was as flawless as Carlo Fonseka’s, Albert Einstein’s or any properly guided PhD student’s! It is not the trivial parallel between spurts in species evolution and social upheaval and change that is important. The crucial point is that both were practicing scientists. This is the crucial stage of this essay but thanks to the Editor’s generosity I am allowed a few more words. Let me grumble twice more. Yes, Marx was intensely involved in classical economics. If German idealism (Kant, Hegel, Fichte, Schelling and Feuerbach) permeated his inner brain, Smith, Ricardo, Malthus (who he despised) and John Stewart Mill monopolised his frontal cortex. But here’s my point: Marx did not drink deep of the Labour Theory of Value (LTV) though you may think otherwise from Volume I. Again, there is more to Marx than he himself was aware of. Buried in the discourse on credit, interest and reproduction (investment) in Volume II, and the suffocating wrestling matches in Volume III, is a more profound theory of value. I call Marx’s version the Money Theory of Value (MTV); which is what he was reaching towards. The journey was completed by others 100 years later. In passing, it banished the ‘Transformation Problem’ between value and price; the value of a commodity is the money price it fetches in perfect exchange and is equivalent to the ‘abstract’ labour it internalises. This ‘abstract’ labour can only be measured in money, in free exchange, in an ideal market, because the capitalist economy is saturated by money, the universal commodity. The money-value of a commodity, thus ascertained, is its true value and its only possible true value. I will stop here because it’s getting a bit esoteric. The point I am making is that Marx’s MTV is not the same as the LTV of classical economics. My third grumble is about French revolutionary politics. Marx was a child of the European Enlightenment and fascinated by the Great French Revolution of 1789. He lived through the 1848 Revolutions which started in Sicily in January and Paris in February and engulfed 50 countries. But Marx did not derive any formulae whatsoever for socialism/communism from the 1848 events – in fact there were no programmes in 1848 to compare with the 1789 great bourgeois revolution’s Liberté, Égalité, Fraternité, no taxation without representation, and so on. Many “Marxists” are not even aware that the old boy never enunciated a programme for socialism/communism. Except for half a dozen tantalising aphorisms, he kept options open ended, as any sane person would do, so far ahead. (He knew he was far ahead of his time). Here are three of his oft quoted mottos. “From each according to his ability, to each according to his needs” (Gotha Programme). “In place of class antagonisms, we have an association, in which the free development of each is the condition for the free development of all” (Manifesto). “In communist society each can become accomplished; society regulates the general production and makes it possible for me to do one thing today and another tomorrow, to hunt in the morning, to fish in the afternoon, rear cattle in the evening, criticize after dinner, without ever becoming hunter, fisherman, shepherd or critic” (German Ideology). I wager anyone a bottle of single-malt to fill just one page with quotes from Marx prescribing how a socialist society should be run. A state-controlled economy took the USSR from backwardness to power-house and then destined it to failure. China runs a state-directed economy with ample room for capitalist entrepreneurship. These are specifics about which Marx said nothing though today we ponder over options for different parts of world. I see no evidence for “socialism of a particular form which comes from French politics” in Marx. He sketched no future structures, instead reckoned that progress in technology (productive power) would upend class, abolish capitalism and make an equitable and prosperous future possible and likely. This is sane and rational; but historical conjecture is not the same as science.